A lead dementia nurse has described the benefit of her hospital’s family support rooms which she helped introduce. Nurses have helped design new 'home from home' style hospital rooms for dementia patients and their families. A dementia-friendly family support room at Pinderfields Hospital. The brightly-decorated family support rooms on elderly care wards at Pinderfields Hospital in Wakefield come complete with comfortable chairs and pull-down beds so families can stay overnight and be closer to loved ones with dementia, or those in their final days. An open visiting policy means families can stop by at any time. Overnight kits containing toiletries and a toothbrush are supplied by staff. She added that the rooms have been designed to be dementia-friendly. 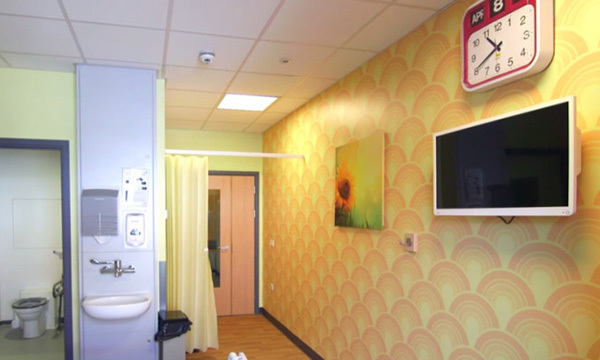 One of the rooms has been named the reminiscence room – featuring a nostalgic 60s theme mural and memory tree – which is a place for families and patients to talk and share memories.